Competition stage in the country’s industrial lubes segment was witnessed to be moderately concentrated along with the presence of major PSU oil marketing companies which captured over half of the domestic consumption of industrial lubricants in India during FY’2018. The total number of players manufacturing Industrial Lubricants in India was observed to be over 44 manufacturers, both PSU and private, domestic and industrial, integrated and standalone as of 31st March 2018. Post liberalization, the market witnessed emergence of various international as well as domestic players owing to high growth potential of industrial lubricants in the country. Some of the major players operating within this segment include IOCL, HPCL, BPCL, Shell, Gandhar Lubes, Exxon Mobil, Gulf petrochem (IPOL), Apar Industries and others. Pricing, brand value as well as marketing strategies adopted by a particular company are considered as of high importance in order to reach a wider target audience in India industrial lubes market. PSU OMCs including IOCL, HPCL and BPCL were observed to be the clear leaders in India industrial lubricants market along with a collective volume share of ~% during the FY’2018. The industrial segment includes tender-based procurement which is dominated by these companies, thereby giving them an edge over private players in terms of production volume. What is the Future of Industrial Lubricants in India? 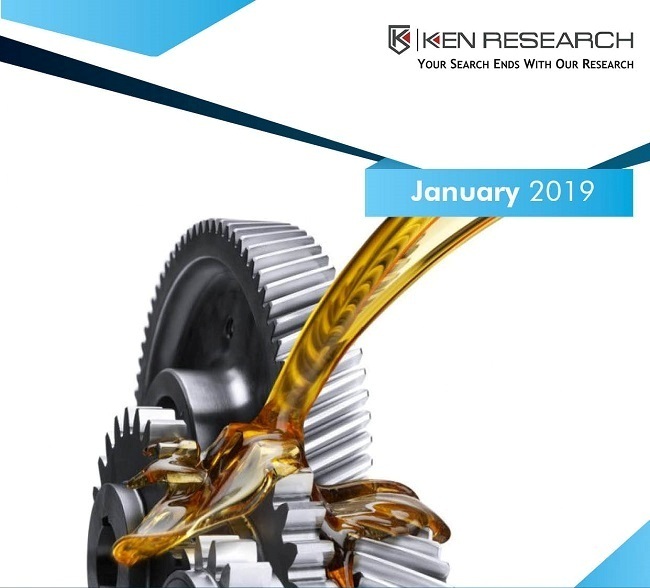 Over the forecasted period, India industrial lubricants market will prepare itself to meet the future demand anticipated to emerge from the substantial investment proposed in key lubricating segments such as synthetic & semi-synthetic lubricants and bio-based lubricants along with emerging new industrial uses. The “Make-in-India” initiative launched by the Indian government on September 25th, 2014 with the primary goal of making India a global manufacturing hub, by encouraging both multi-national and domestic companies to manufacture their products within the country. In accordance with the DIPP, the initiative aims to raise the contribution of the manufacturing sector from ~% in 2014 to ~% of GDP by the year ending 2025. Additionally, it targets ~ sectors of the Indian economy which ranges from auto and auto components / automobile industry to the IT-BPO industry. In terms of revenues, the market is expected to reach a total of USD ~ million by the year ending FY’2023E from USD ~ million in FY’2018, thus growing at a CAGR of ~% over the forecast period FY’2018-FY’2023E. On the other hand, in terms of sales volume, the market is further anticipated to generate ~ million litres by the year ending FY’2023E. Stabilization of Index of Industrial Production (IIP) in FY’2018 signified favorable growth in the production of industrial products, thereby creating a positive impact on the demand for industrial lubes in the near future. Strengthening of the industrial recovery after facing events such as introduction of GST and demonetization in the country from multiple campaigns such as “Smart Cities” could improve the demand of industrial lubricants over the long term. High quality lubricant types such as synthetic and semi-synthetic lubricants that can sustain extreme temperature and pressures, reduces friction and have high viscosity and grades are generally preferred by end users. India has been emerging as one of the leading producers of key industrial ores and minerals. With more equipment being put into action, the higher will be the demand for industrial lubricants for efficient and productive operation of mining equipment as they are used under extreme temperature/pressure conditions which would require regular lubrication.